Bring some nostalgia to your beverage presentation with this Anchor Hocking Oneida 90060 16 oz. soda glass! An excellent addition to your restaurant, bar, diner, or ice cream shop, this glass features a classic soda shop-style and a tapered design that's both stylish and easy to grasp. 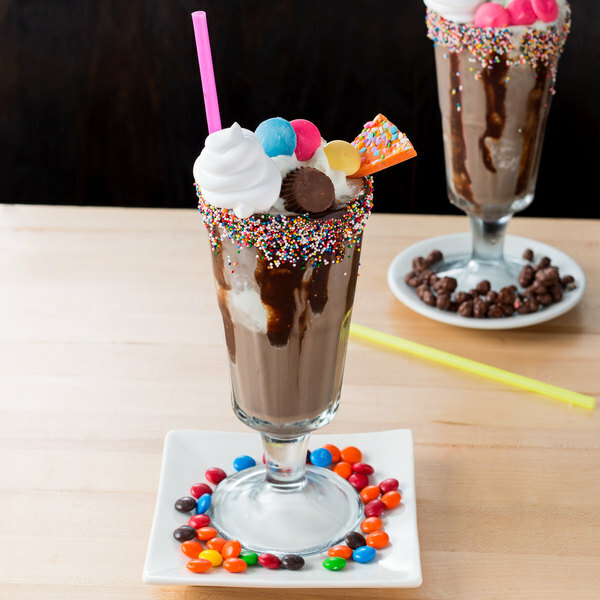 Thanks to its durable, crystal-clear construction, this glass provides optimum clarity and brilliance, allowing the vibrant colors of your customers' favorite over-the-top milkshakes, malts, floats, and ice cream sundaes shine. This glass features a rolled rim for easy sipping, while its sturdy, wide base provides excellent stability on trays, countertops, and tables. 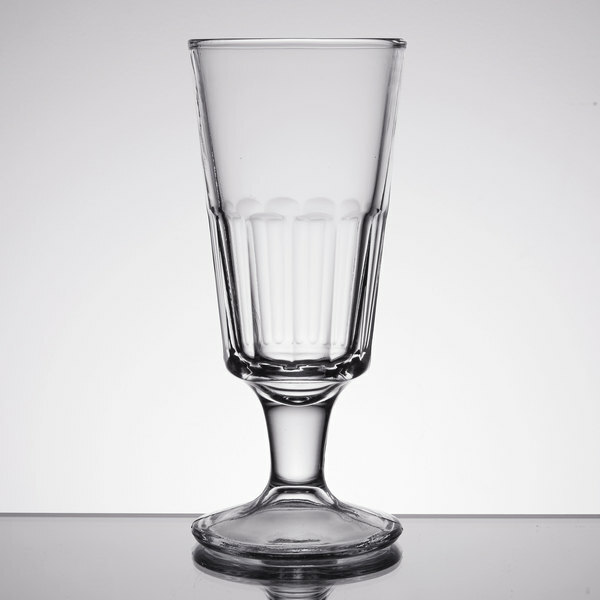 With its timeless design and superior durability, this soda glass is sure to make your decadent desserts stand out! 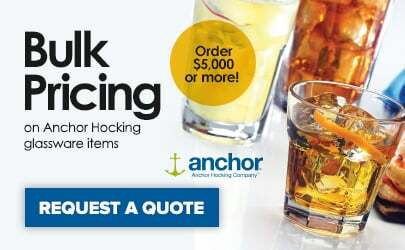 The Anchor Hocking sixteen ounce soda glass is a great price and well made glass excellent for serving our soda floats. We love the appearance and look of these retro style glasses. 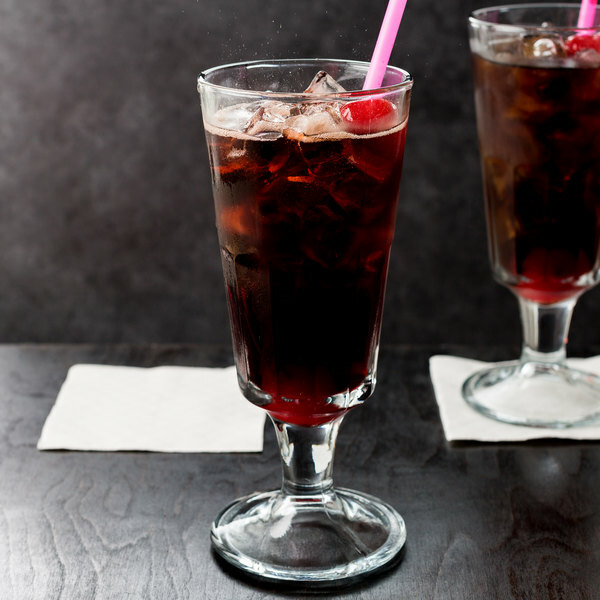 These soda glasses are perfect for our root beer floats. We are a small cafe built around a 1940s beach house theme and these glasses look amazing with the root beer floats. It's especially nice when two young lovers share a float--two straws. It's the perfect photo from 1940. I'd recommend them to anyone. They are very durable and go through dishwasher perfectly. A very lovely and well constructed 16 ounce soda glass. It is perfect for serving our old fashioned sodas and malts. The glasses take people back to the corner diner they grew up at. An awesome find!